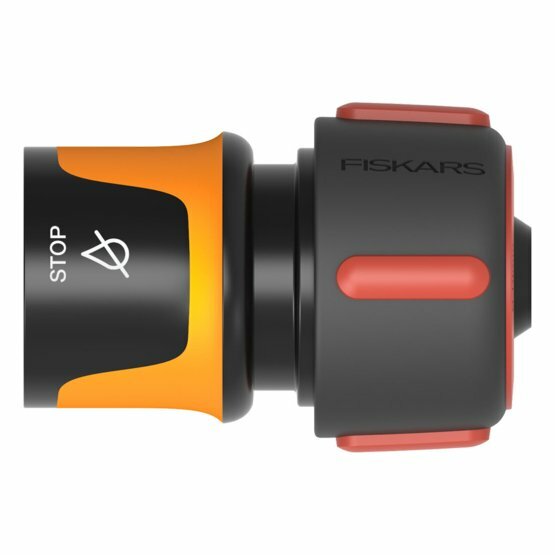 Fiskars offers NEW Easy-to-select, ergonomic and high quality quick hose connector with water stop mechanism. Selection & paring with hose is easy as the connector has colour coding helping the selection ; blue for ½”-5/8”, red for 3/4” and yellow for 3/8”. Soft grip for good grip even when wet. Soft grip & ergonomic design. Universal fit - fits with other brands.